Our original design lower shock mount clears a Ford 9" housing's back brace. 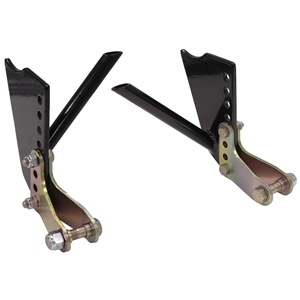 Engineered for our Eliminator series chassis and rear subframes, this unique mount provides approximately 6" of height adjustment. All hardware is included.